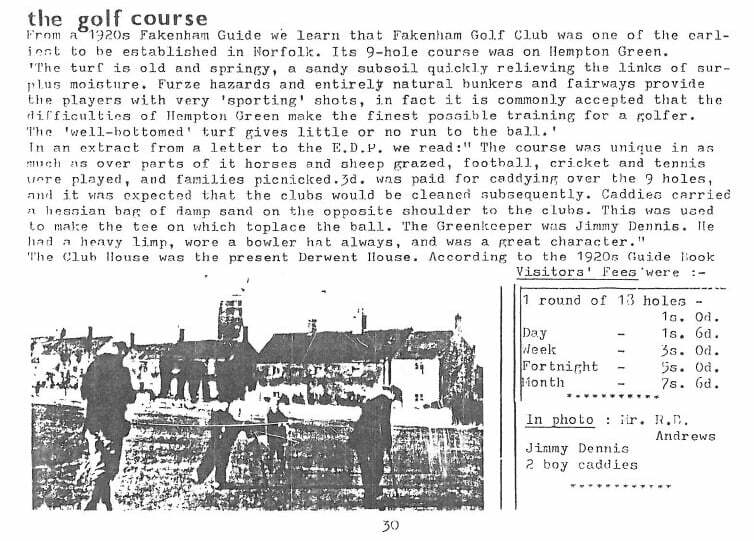 The Fakenham Golf Club History Commenced in 1889. The original Golf Club was formed on 9th February 1889. A meeting of gentlemen was held at the Kings Head Inn, Hempton to form a golf club; a green having been found specially adapted for the game. Among those present were Sir Laurence J. Jones, Bart., the Rev. Straton Campbell, Weasenham, the Rev. J.R. Lane, Tatterford, the Rev. 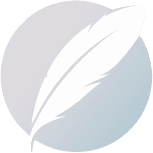 Rogers, Capt. K. Hamon, R.N., Dr. Robert Fenner, Cromer and Messrs, G.A. Watson, Algernon Digby, William Digby, Tittershall, Alec Campbell, Weasenham and Henry Newson, Fakenham. It was unanimously resolved that a golf club should be started for Fakenham & District to lie called The Fakenham Golf Club and the Marquis of Townsend of Raynham Hall be asked to become President of the Club and Lord Hastings, Patron, the Rev. H. C. Rogers was elected Captain and a Commitee consisting of the following gentlemen was formed: Mr George A. Watson, Capt. Hamone, Mr Algernon Digby and the Rev. J.R. Lane. It was also resolved that the rules should be based on those of Cromer Golf Club and should be printed and issued in a paper cover, the annual subscription arranged was £1 for ordinary members and 10/- for members residing 15 miles from Fakenham. 14 gave in their names as members. It is interesting to note that in the 1920’s a round of golf was 1/-, a day 1/6d, a week 3/-, a fortnight 5/- and a month 7/6d!